Corporate finance - You could perform investments in the house for a company or you could be part of an investment firm that deals only with corporate clients. Essentially you will be handling the investment strategies for your clients, producing monthly performance reports and creating a strategy for future investments. Trading analysis - Typically you will be dealing with individuals and managing their investments. You will perform the basic trading functions and create monthly reports on your accounts. Research analysis - In this position, you will not be dealing directly with any clients. 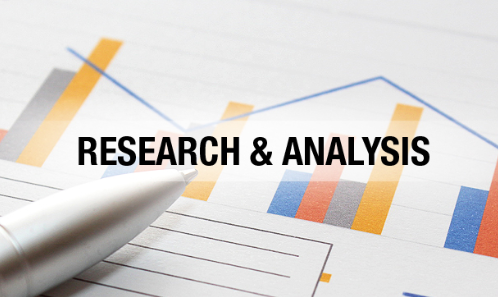 Your primary duty is to perform research on companies to gain an understanding of investment potential. Analyzing market trends and predicting future performance is another area touched upon as a research analyst. To get an entry-level position as an investment banker you will need to have a background in accounting, finance or economics. Sometimes other areas of study will allow you to get your foot in the door, but a degree in those fields will give you the best chances. In addition to a degree, there are several courses that can be taken to acquire certifications in different areas. If you do not have much experience, getting a certification can be the difference in getting that job. In addition to the educational requirements, you will need to make quick decisions, think analytically, keep up with industry news, be able to work under pressure and most of all work long hours. With 70-100 hour weeks, investment banking is easily one of the most demanding jobs. We all know that an investment banker salary is very attractive, but in reality, year-end bonuses can make up the majority of one's earnings for the year. 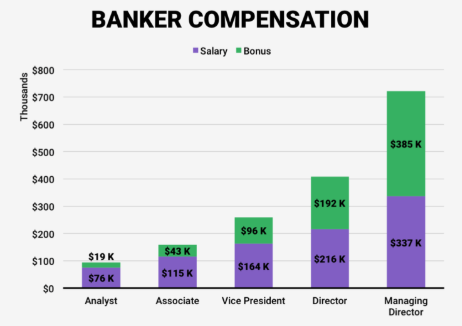 For example, an investment banker who is making $100,000 per year as a base salary has the potential to make an additional $250,000 in bonuses. Of course, many factors play a role here, but it is not unusual to see a bonus of 2-3 times your salary. The more experience, education, and certifications you have, the higher starting salary you will receive. Typical starting salaries range from $60,000 to close to $200,000 per year for entry-level positions, depending on the location of the firm and your credentials. As you make your way up the "investment ladder" and reach the Vice President and Director positions, you can expect to see salaries starting at $500,000 and going as high as $2 million per year. To achieve such a position you should expect to be in the industry for 7 years minimum with a proven track record. How to Become an Investment Banker? Investment banking can be a rewarding career choice. 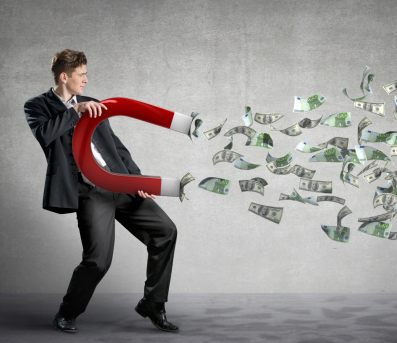 They are responsible for helping their clients develop both large and small business deals. This could be corporate loans, mergers, or acquisitions. If you have great analytical, organizational, and communication skills, you may want to learn how to become an investment banker. Education is vital in the field. It is good to start with a bachelor's degree in accounting or other finance related major. You can also consider administration, economics, or marketing. These will all help you establish your career. Communication is extremely important in the field, so while in college consider taking both oral and written communication courses. You must be a confident public speaker because you will be giving presentations and conducting meetings in order to gain new clients. Trends in the financial industry tend to change frequently. You should constantly be reading financial journals and publications. 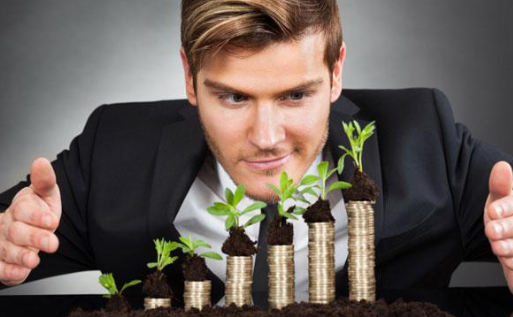 Knowing the current business environment will ensure that your business thrives. It is difficult to break into the field at a high level. You may have to be a clerk or an analyst first. Gaining this experience in the industry will make you more palatable to the larger and smaller firms. If you want to grow in the industry, you may want to consider getting your MBA. This will open some of the higher-level management positions. This will also help you should you want to open up your own firm.